I have had an Amazing stroke of luck! 10 years ago I had my honeymoon in Hawaii. We said back then that we would go back to the island, like a member of the ‘Lost’ cast for our 10 year wedding anniversary. We booked our tickets and looking at what to do, we noticed that the Amazing Comic-Con Aloha will be on during our stay in Oahu. I jumped at the chance to add ‘Internation Cosplayer’ to my list of Cosplay achievements and grabbed some tickets! I had not even looked at the guest list, then I had a look… COOL! I was a big fan of ‘Lost’ when it came out. I was found at coffee shops downloading episodes from American websites as I wished to be one step ahead of the UK back when it premiered. 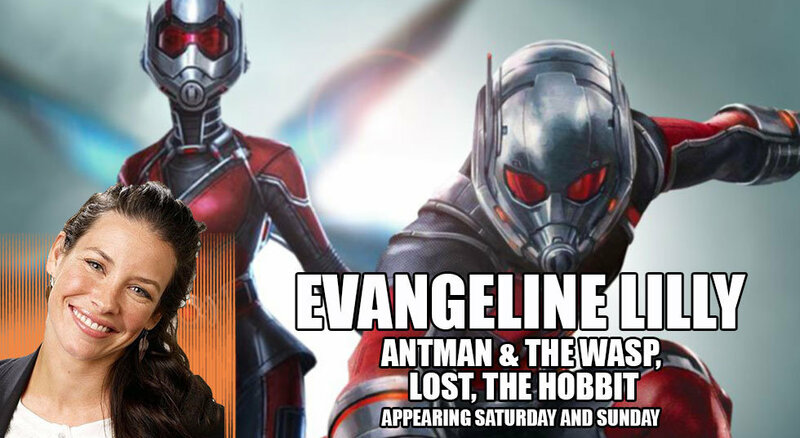 I loved Evangeline Lilly (Kate), as well as the rest of the cast and hearing she will be at the Aloha Con, has put a smile on my face! She was great in Antman and rummer has it that Paul Rudd will also show his face too. I’m excited! 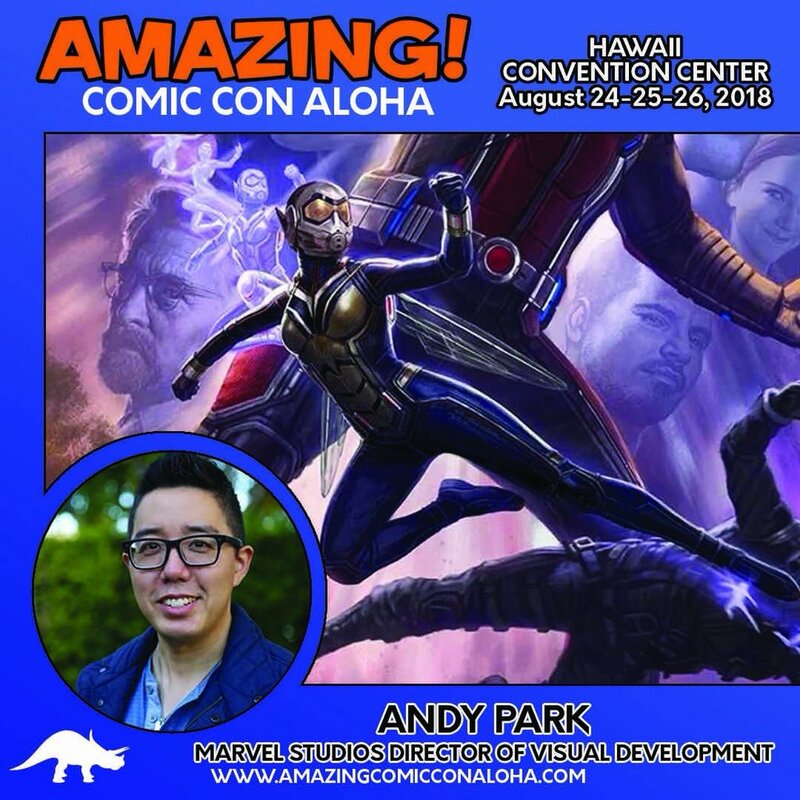 Loving the costumes in the Marvel films, I was very happy to hear that Andy Park (Marvel Studios Visual Development Supervisor and concept artist for Ant-Man and Wasp) will be there too. I highly recommend you follow him on Instagram as his concept art is fantastic. If you preorder the Ant-Man and Wasp Steel book you will get his artwork inside the box. Very cool. Andy’s most well know work is from the Tomb Raider Comics during the late 90’s. 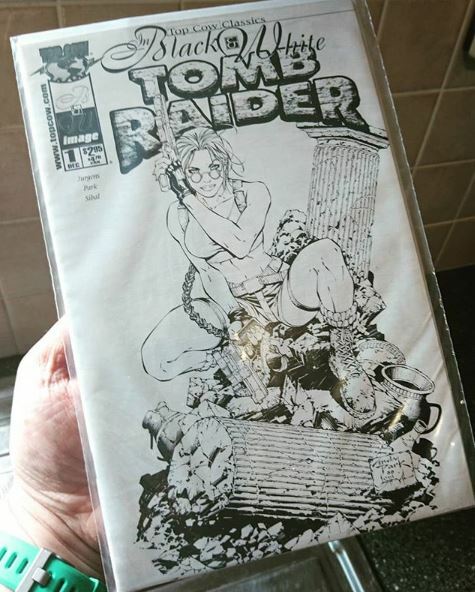 I have packed my b+w Tomb Raider comic by @topcow , I hope to get an autograph on it! Watch this space! Another Amazing person who has been a big part of my life will also be there. Kevin Eastman, one of the creators of the ‘Teenage Mutant Ninja Turtles’ is someone who inspired me to get my sketch pads out back in the 80’s. When I was young there were two things I draw all the time, Aliens and Turtles. I will unfortunately never get to meet H.R.Giger but Kevin I hope to do so this weekend. I was going to get my Turtles number 1 signed but after looking through my comic collection in my father’s attic, I have discovered that it has gone missing. SAD FACE! I’m only able to make the Saturday and I have packed my full costume into his box and its packed into my suitcase (Coat not included). I have been unable to find the Aloha Hashtag but as soon as I find it I will tag my Leon in Hawaii maybe, for now, I will use #Aloha18. I’m looking forward to meeting Hawian cosplayers and I hope to make the cut in some Cosplay music videos. If you see me come and say Hi! Give me a high-five and I will give you a Dax79 collector Coscard (If I have any left). I will update my Dax79 Cosplay Facebook Page during the event depending on Wi-Fi and I will, as always, give my opinion of the event afterward. I’m Sure I will enjoy it, Talk soon! 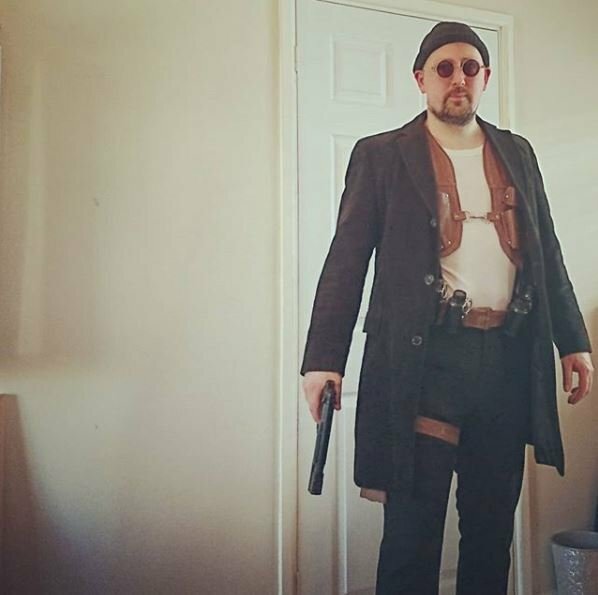 This entry was posted in CONVENTIONS and tagged #Aloha18, Aloha, Amazing, Comic-con, Cosplay, leon. Bookmark the permalink.